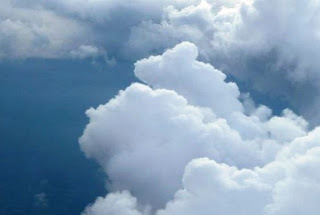 Wenn jemand stirbt, den man liebt, bleibt für einen Moment die Erde stehen, genausolange wie es braucht, um allen Blumen und Bäumen, den kleinen und den großen Tieren davon zu erzählen.Die Wolken informieren den Himmel, der Mond das Meer.Die Sonne wird für eine Weile blasser, auf der Erde wird es als grell empfunden.Die Sterne am Himmel ordnen sich neu, um Platz zu machen für einen Neuankömmling. When someone dies, someone you love, then for a moment the Earth stops turning and stays still, as long as it takes to bring the news to all flowers and trees, to all animals, the small ones and the large ones. 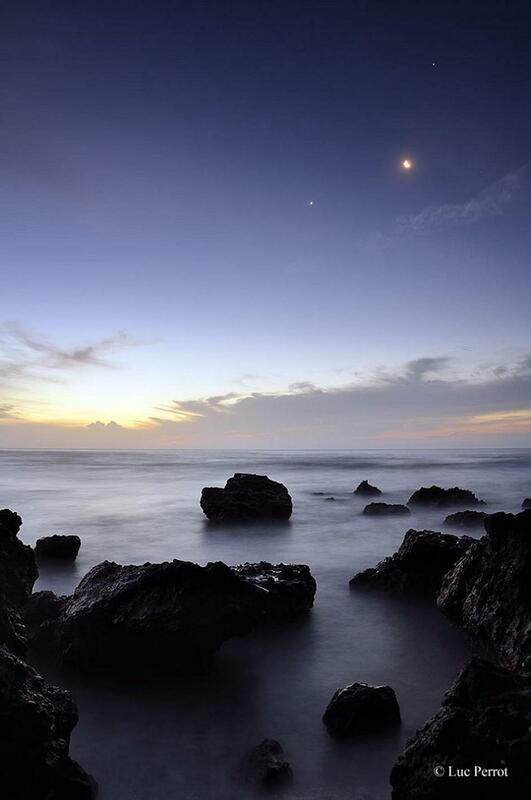 The clouds inform the sky, the moon the sea.The sun gets paler for a while, on Earth it may be sensed as glaringly. The stars in the sky rearrange their position to make room for a newcomer.The way they outdo themselves with one sparkling brighter than the other, one can tell that they are very excited. Everything has its own order, even the tears shed on Earth. When streams or rivers are close to overflow with sadness and despair, then it is time to send people a rainbow, to announce to them that the loved one has been well received on his last journey. The Earth will set in to continue with its turns and what remains are the memories, so vivid and lively as if the loved one had never left our planet. 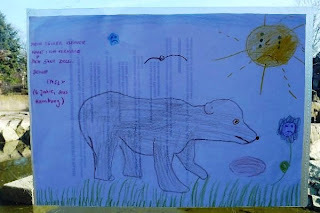 When a bear dies, then everything may behave a little differently, especially if the bear was a polar bear, a polar bear with at least a thousand and one face. A bear, whose magical powers were so great that his reputation preceded him beyond all borders already during his lifetime.A bear, who managed to conjure up a smile where people had to work hard and where they were already tired and sad of small and major disasters. When such a polar bear dies, then wolves only want to howl, dogs can't help than retire back into the very last corner waving their tails wistfully, giant tortoises shrink involuntarily by a few centimeters, and even fruit bats on tropical islands are starting to clear their throats, giving up being sedentary for a few days, as they seek communion with their fellow bats, restlessly flying between mango and papaya trees. Each teeny-weeny minute of moonlit nights they spend to spread the news of the death of the famous polar bear until even the smallest ant and each queen bee knows. It is then and only then, that other queens bloom for only a few hours in commemoration, hanging down saddened their magnificent heads forever after the coolness shows, expelled by the sun's first rays. Somewhere else, where the polar bear was at home, there are also meetings. Meetings of fresh fragrant croissants with the most delicate and beautiful, fragrant flowers in all colours, bound by hundreds of sorrowing flower selling ladies, their nimble fingers barely finding time to recover, every rose leaves marks on their way, evidence of a deep affection. Uncountable children leave drawings and paintings, love in every brushstroke, pictures to accompany the bear on his last journey. Hartgesottene Journalisten aus aller Herren Länder schreiben bewegende Nachrufe, selbst die, die das Wunder des kleinen Eisbären vorher nicht so wichtig genommen hatten, empfinden auf einmal Verlust, auch ihr Himmel hat sich auf einmal für einen Moment verdunkelt, ein kurzer Moment, in dem es keinen Zynismus gibt, nur Bedauern über ein Märchen, das nicht zu Ende geschrieben werden kann. Hard-boiled journalists from around the world write moving obituaries even the ones who previously had not taken the miracle of the little polar bear that seriously, all of a sudden feeling a loss, darkening their sky too for a moment, a brief moment in which there is no cynicism, only regret about a fairy tale which was over before it could be written till the end, even when it wouldn't have been them to write it. Incomprehensibility and pain too where some face the most thankless of all tasks. Only a few have the privilege to touch the body of the once-friendly, agile, curious, playful, smart and healthy bear for a last time in order to extract the secret of his much too early and sudden death. It is a difficult task, a task in the face of death to collect information. Findings that could help other polar bears to stay healthy and live longer.But for the time being death has no answers to the questions which are burning in life and sleepless nights. The researchers know that they know too little, and in the excitement which is typical for them, and because they would really like to help, they look up into the sky, hoping for a miracle or at least an inspiration, where to find a clue, while on Earth the sadness mates with the impatience, and a zoo director is beginning to make himself unpopular, and while others, still at the same time, search the sky for a sign that tells them that the bear is doing fine there where he is now. Die Sterne sehen all das, die Tränen, die bitterlichen, die heimlichen und die offen geweinten, das laute und das leise Vermissen, die Liebe, so tief wie ein Ozean und so zart wie ein frühes Maiglöckchen, das sich im Monat verirrt hat, den Schmerz, so bodenlos wie er nur sein kann, wenn der Tod unerwartet kommt und viel zu früh, die Sorge um die anderen Bären, die Angemessenheit und Unangemessenheit von Entscheidungen, die Fragen und das Verstehenwollen und die Ungeduld.Ihre Antwort ist ein besänftigendes Strahlen, das mit dem Himmel kontrastiert, der aufgewühlt ist angesichts der Erschütterung, Wehmut und Hoffnung all derer im Blick, die ihn Tag für Tag zur selben Zeit auf- und absuchen. Die Sonne, der Mond, die Wolken, sie alle sind da. The stars see that all, the tears, the bitterly, the secretly and openly wept, the loud and the quiet missing, the love, as deep as an ocean, and as delicate as a rose, the pain so bottomless as it can only be when death comes unexpectedly and much too early, the concern for the other bears, the appropriateness and inappropriateness of decisions, the questions and the desire to understand, and the impatience.Their answer is a soothing shine, contrasting with the sky, which is troubled in view of the shock, sadness and hope of all those eyes which visit him searchingly every day, always at the same hour. The sun, the moon, the clouds.They are all there. And it comes the day when they eventually meet.They decide to send a gift. Ein Hund und eine Frau stehen auf einer Terrasse und blicken aufs Meer.Es ist abends, und der Himmel ist von einem tiefen Nachtblau, aber aufgehellt von vielen rosafarbenen Streifen, Wolkentupfern und einem starkfunkelnden Abendstern. Es ist 18.22 an einem Ort mit 3 Stunden Zeitdifferenz zu Berlin. Wie jeden Abend hat die Frau ihr Kochen unterbrochen, um einige Momente ganz ruhig auf der Terrasse an ihn zu denken, ihn den Bären, den sie nie kenenlernen durfte, aber dessen Außenposten sie betreibt. Ein Regenbogen bricht sich durch den Himmel, von einer Intensität, dass man dabei unwillkürlich meint, Musik zu hören, Farben wie Töne, und während die Frau und ihr Hund unweigerlich an Knut denken müssen, folgen gleichzeitig und aufeinanderfolgend eine Fülle ähnlicher Bögen, gleichsam schön und gleichsam atemberaubend, dass die Frau und ihr Hund nichts anderes machen können als staunend dazustehen, angewurzelt und verzaubert. Aber damit nicht genug, die Regenbögen bewegen sich und mit ihnen das Meer, die Wellen folgen den blitzenden Kreisbewegungen der Regenbögen und dann fliegen Tausende von Vögeln auf, soviele und mehr, wie man sonst nur auf Ile Coco sehen kann, der kleinen Insel, die sich im Westen befindet, nicht sichtbar von der Terrasse aus, sie versetzen den Himmel mit silbrigen Tupfern während Fische mit aufgeregten Sprüngen (wie kleine Welpen,die aufgeregt zu einem gelaufen kommen) das Meer ganz silbern färben. Es ist eine Zeremonie, die sich jeder genauen Beschreibung entzieht, Momente nur, aber bei der Frau mit dem Hund das Gefühl hinterlassend, dass es hier nicht nur um Knut geht, sondern auch um alle Menschen und Tiere, die das Meer aufgenommen hat. 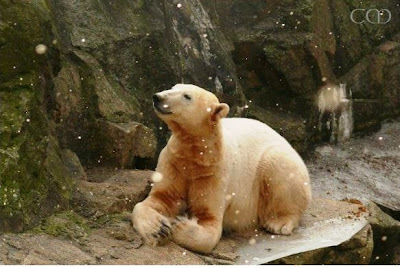 Ich will mir vorstellen, dass dieser Moment mein Abschied war von Knut und Knuts Abschied von der Welt um woanders seine Spuren zu hinterlassen. A dog and a woman are standing on a terrace, overlooking the sea.It is evening, and the sky is of a deep midnight blue but brightened by many pink stripes, splashes of clouds and a strong glittering evening star. It is 6:22 pm in a place with 3 hours time difference to Berlin. Like every night the woman has interrupted her dinner preparations, to think calmly of him for a few moments on the terrace, of him the bear, the bear whom she had never met but whose outpost she runs. Like every day after March 19, she tells him about her day, her events with Molly, asks him if he has already met Grandma Lisa, Simba, or Papi Thomas or one of the bears with whom she has just been busy with, as all of a sudden something happens, something that can not happen in reality, at least not when the sky is already night blue. A rainbow is breaking through the sky, incredibly intense as never seen before, making one imagine to hear music, each colour a tone, and while the woman and her dog can't help than inevitably think of Knut, in fractions of a second an accumulation of similar arcs follow, at the same time and in sequence it seems, so beautiful and once again breathtakingly intense that the woman and her dog can not do anything else than to stand still, rooted in amazement, charmed. But that's not enough, the rainbows move, and with them the sea, the waves follow the flashing circular movements of the rainbows, and then thousands of birds fly up, as many and more, as one can see only on Ile Coco, a tiny island in the West, not visible from the terrace, adding uncountable silvery dots to the sky while fish start jumping excitedly (like little puppies do when they come running to someone familiar), silvering the whole sea. It is a ceremony that defies exact description, moments only, but leaving behind the woman with the dog feeling that it is not just about Knut alone but also about all people and animals taken by the sea. 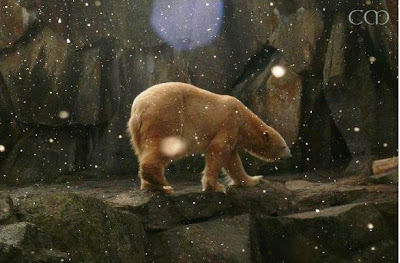 I want to believe that this moment was my good-bye to Knut and that it was Knut's moment of bidding farewell to the world to leave his prints elsewhere. Von einem Traum kann man keine Fotos machen, deshalb gibt es auch keine. Es bleiben die Erinnerungen, wie diese z.B. Photos can't be taken of a dream, therefore there aren't any. mir fehlen die Worte zu Deinem berührenden Eintrag zu Knuts Jahresgedenktag. So poetische und tiefergreifende Gedanken hast Du formuliert, wie ich es nicht könnte. Und wenn es diesen Schöpfer gibt, dann gibt es auch irgendwo ein Wiedersehen, das will ich gerne glauben. Sei ganz herzlich gegrüßt und bedankt! Danke für deine lieben Worte zu meinem Beitrag.Irgendwie hast du Recht, es ist ein wenig die Summe aus vielen Gedanken und Gefühlen zu Verlusten , die uns in den letzten Jahren ereilt haben. 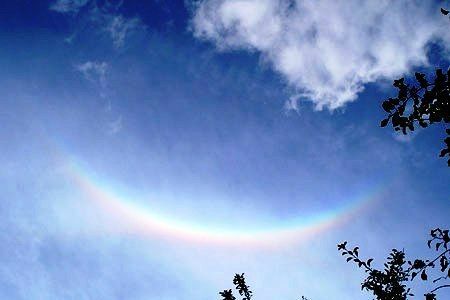 Das Bild des Regenbogens beschäftigt mich sehr seit Simba im September 2008 nur 8 Tage nach Thomas Dörflein gestorben ist. Sie starb nur wenige Stunden nachdem ich eine Geschichte begonnen hatte zu schreiben, in der sie eine Verabredung mit einem Regenbogen hatte, in der sie eigentlich all die brennenden Fragen zu Abschied und Tod stellen wollte um es dann ihrem Freund Knut zu erzählen. Diese Gechichte ist nie fertig geworden. Der erste Teil in dieser Geschichte sind Sätze, die mir gekommen sind gleich nach dem Tod von Knut. Eigentlich wollte ich etwas schreiben um von ihm als sein Aussenposten in dem Kondolenzbuch Abschied zu nehmen. Dies habe ich nicht geschafft, ich brauchte meine eigene Zeit, auch angesichts der Trauer , die mich seit dem 11. März begleitete, dem Tag des Tsunamis. Den Traum, den habe ich ein paar Wochen nach Knuts Tod gehabt, worüber ich sehr froh bin. Mir ist eingefallen, dass ich bei großen Verlusten öfter Träume habe, in denen Farben eine ganz besondere Rolle spielen, ich glaube, dass wir alle viel aus unseren Träumen lernen können und dass auch Träume Geschenke sind. Der Tod von Knut hat noch eine andere Geschichte hervorgeholt, eine,die ich fast vergessen hätte und die wohl aber eine ganz besondere Bedeutung hat und vielleicht auch ein wenig erklärt, woher diese starke Bindung zu dem Berliner Zoo kommt, den Eisbären und Knut im Besonderen. Doch das ist eine Geschichte, die sich bislang nicht schreiben ließ. Ich träume auch sehr viel von Dingen, die mich beschäftigen und ich glaube, dass ist auch sehr gut für die Seele. Ich wünsche Dir einen schönen Tag - hier ist der Frühling endlich angekommen! This was very beautiful. And I know how much you miss Knut.